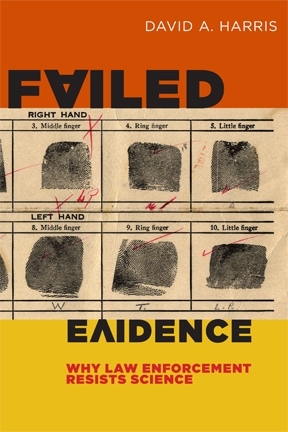 On Thursday April 4, and Friday April 5, I’ll be in Cincinnati for two discussions of Failed Evidence: Why Law Enforcement Resists Science (2012). Both are free and open to the public. On April 4, I’ll be discussing the book at 7:00 p.m. at the Clifton Cultural Arts Center, 3711 Clifton Avenue, Cincinnati OH 43220. The event is sponsored by the ACLU of Ohio. On April 5, I’ll present at talk at the University of Cincinnati College of Law at noon. The address is 2540 Clifton Ave, Cincinnati, OH 45221. The event is in Room 114. The event is sponsored by the Lois and Richard Rosenthal Institute for Justice/Ohio Innocence Project. The event has been approved for CLE credit for attorneys.